Ms. Richey — enjoy your ABH columns. We’ve only lived in Athens a few years. Thanks to you, we now believe we know what one of the mystery shrubs in our yard is. 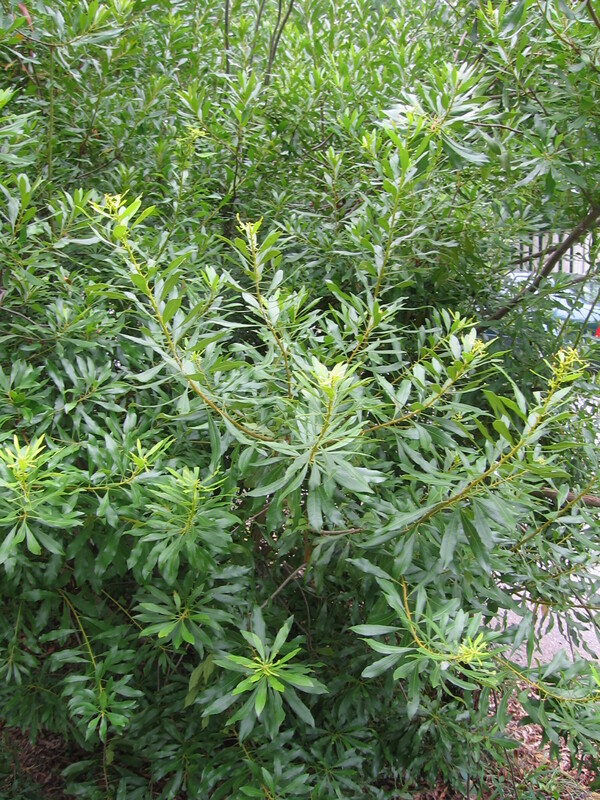 If we do indeed have a wax myrtle — and it sure looks like we do based on the photo — I’d have to say there is another drawback besides what you mentioned. It grows prolifically, even during the highly dry years we’ve recently experienced. It needs a severe pruning at least annually to keep it under control. Thanks for reading my column. About the prolific growth, when one is growing a shrub for the purpose of screening, prolific growth is a plus. I guess it just depends where it grows in the yard which would determine if the growth is a plus or a negative. A great way to positively ID the plant is to crush and sniff the leaves. Thanks for sharing such information….